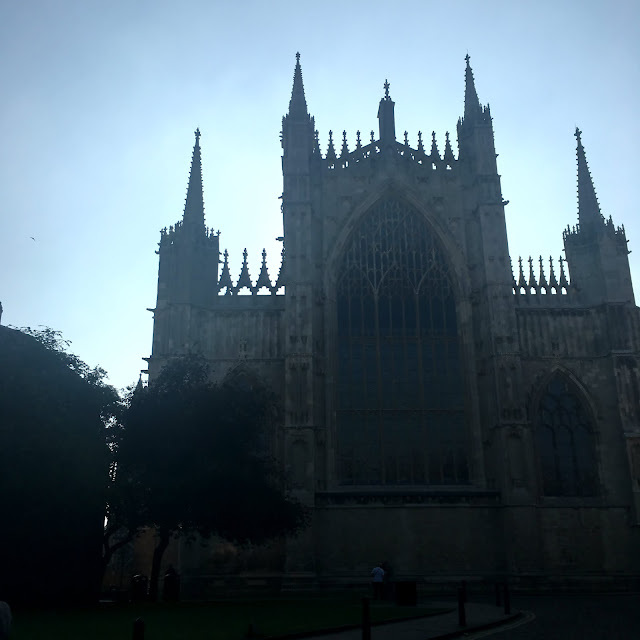 How to spend 48 hours in York on a budget. Chocolate is my everyday indulgent and York is known for being the chocolate capital of Britain. Being home to the family run KitKat creating Rowntree confectionary factory in the 19th century, York offers an interactive chocolate story tour. The tour takes you on a journey through time in different rooms from the aztecs being introduced through a cinematic experience to a modern day chocolate making reel. Standing out for me was the room in which portraits of the early makers of British chocolate came to life as if we were in Harry Potter. The free quality street sweetie topped it off too. They tell you never to take sweets from strangers, but our tour guide Steven was lively and enthusiastic. Besides, he was promoting Rowntrees (now owned by Nestle) and their practically family. Kitkats and aeros are always in my home. Music has this magical way of bringing people together. 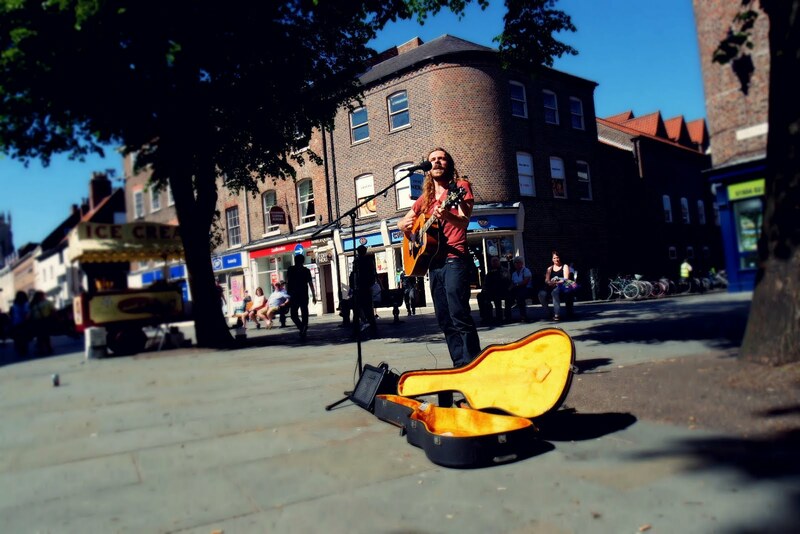 While buskers tapped their guitars; the clusters of holiday makers trotted by, looking up from their cameras and smartphones for a moment while mum's with prams slowed their pace, took a moment to nourish the Dutch singer and his Nordic sounds. It was a small crowd that sat on the steps, but an audience nonetheless. Nibbling the chocolate from York’s chocolate story tour, the sweet moment was only made richer. Our great British pigeons danced around our feet without fear and glided around the red brick chimneys as the work-men gulped their pints outside their local. The sun bounced off their high vis jackets and we all sat and sung along with the long haired busker. A smile stretched across his face as we nodded and sung along to the “sha la la la la” bit in Brown eyed girl. Not a penny was spent. This is how to spend a budget day in York. A little getaway provides a break from reality. For my friend’s 21st, we took a trip to York. 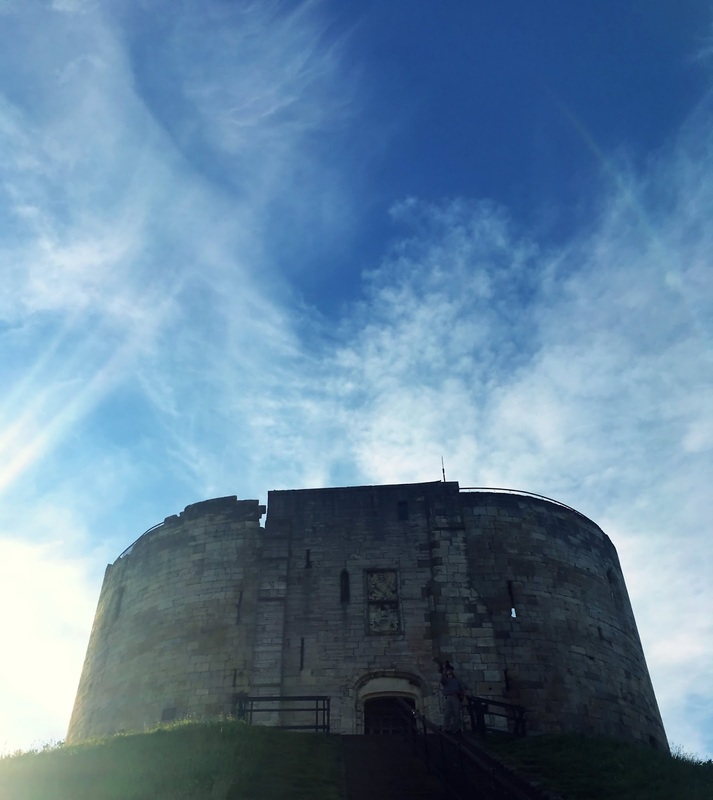 Encircled by the city wall, York flourishes with ancient history with Roman buildings, tudor influences, impressive gothic cathedrals and churches. 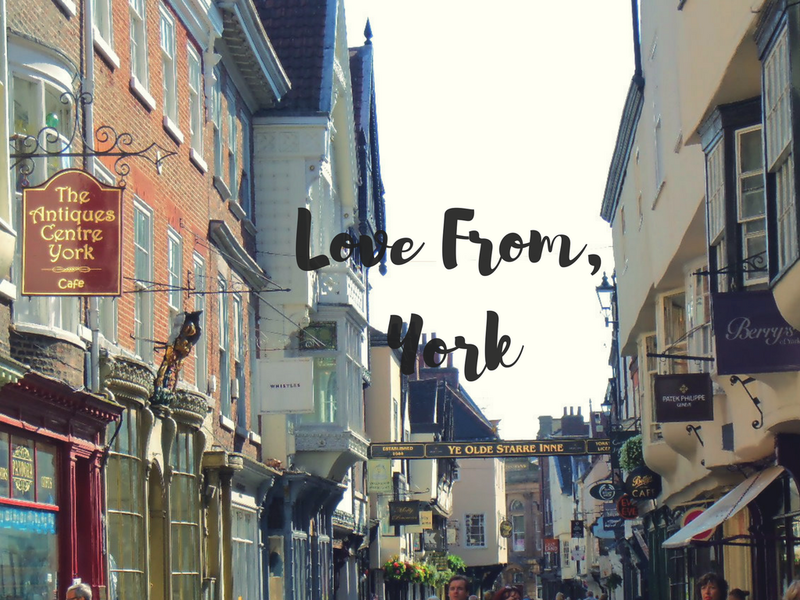 The narrow cobbled streets and chocolate box-like buildings gives a small town feel but the city buzzes with life made up of locals, buskers, students and tourists. With only 48 hours, we were limited but indulged in what York has to offer. Staying at the YHA, we peacefully strolled by the river for 20 minutes each day, while the sun was shining and boats followed us down stream. An ice cream van greeted us as we got closer to the centre, a 99 flake was perfect to cool us down before our Harry Potter senses were tingling. We quickly found ourselves at The Shambles. 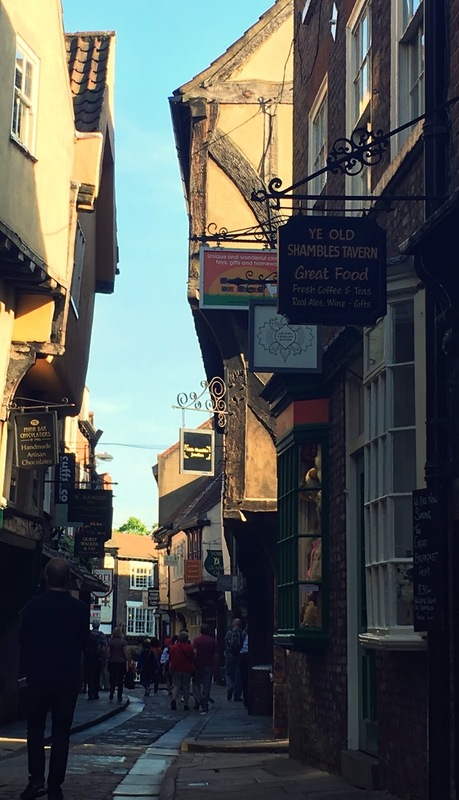 Voted as one of the prettiest streets, the preserved medieval street has been a spot where Harry Potter scenes were filmed. Playing on this, a Harry Potter gift shop is situated on the street. So technically you can buy a wand on Diagon Alley. Around the centre. nestled within the old bricks independent shops offer unique treasures. 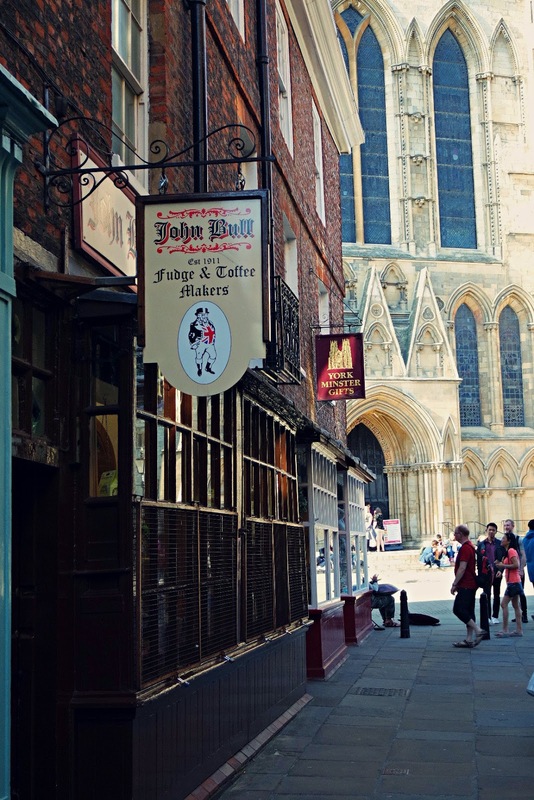 By the grand Minster cathedral that rises above the city, you will find a fudge shop, a tardis like book shop and a trinket shop. The book shop was very cheap which gave us more money for dinners. While food and drink are on the pricey side, one place that cannot be missed is York Roast. On the corner you can pick up a roast dinner, of your choice (pork, turkey or beef) wrapped in a traditional Yorkshire pudding. A yorkie pud wrap! Why is this not a nationwide thing? Pubs all over the world are missing a trick. We collectively took a pause after the first bite from our roast. We had discovered a Yorkshire paradise. Move over Aunt Bessie. Those pud wraps are just as delicious sober or...less sober. York’s night life did not disappoint. The students come out from their books (or beds) and a new lease of life is given once the sun goes down. There is no shortage of pubs, bars and clubs. I discovered this through a pub crawl which ended dancing till 4am in a club. It was such a success that I can’t remember any of the places' names. But we started at Revolution Bar. Ended with chips and cheese and sore feet. 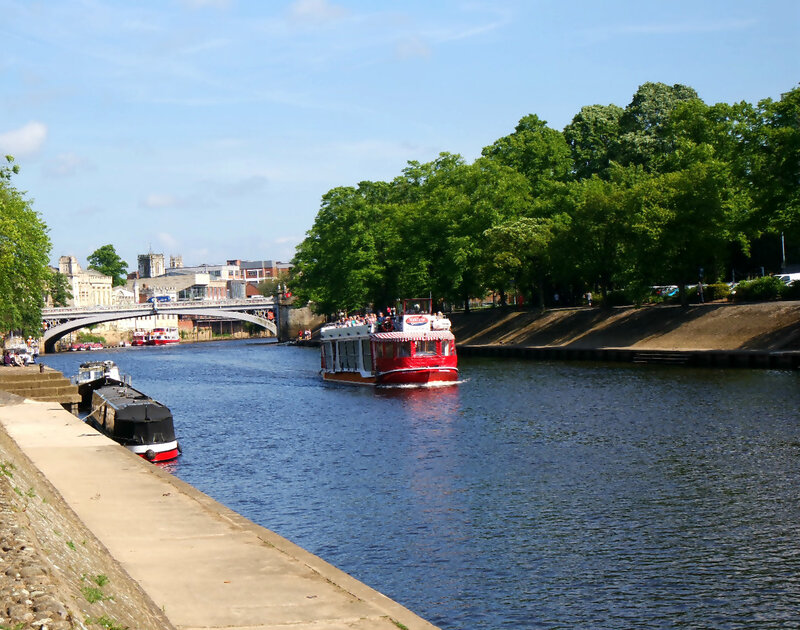 A break away from work, studies and the hustle and bustle of life can be found in York. There is a different buzz and a different hustle and bustle. The quaint city offers a relaxing atmosphere and beautiful surroundings. Just make sure you take enough cash and a camera. In love with these beautiful streets, thank you for sharing it with us.